Quantum House – an office building in a prominent location on Basing View, Basingstoke –has been sold to Arena Business Centres, an established serviced office provider with a portfolio of nine other centres across Dorset, Hampshire and Surrey. Arena already have a presence in the Basing View area, with sister centre ‘The Square’ just a short walk from the newly acquired Quantum House. 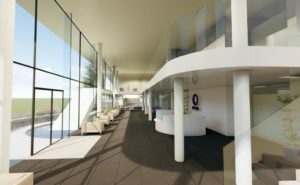 Arena intend to make major investment into the 37,580 sq ft (3,492 sq m) building with an extensive programme of refurbishment, which is set to include the construction of a new reception and business lounge area. 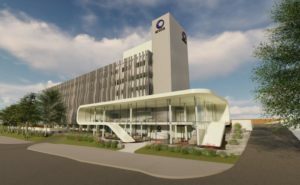 Premium office suites will also be created as part of the refurbishment scheme, with each of the five floors providing approximately 7,500 sq ft of office space. A range of office suites will be available on each floor, enabling Arena to effectively cater for start-ups, entrepreneurs, SME’s and larger corporations. The property is held on a long leasehold interest from Basingstoke & Deane Borough Council, expiring in December 2101 and subject to a fixed peppercorn rent. The price paid by Arena was just in excess of £1.5m. Agents, BDT (Basingstoke) and DMA (London) acted jointly for the unnamed long leasehold Vendor, whilst Vail Williams (Southampton) represented the Purchaser.